Apple did such a good job designing its iPhone that it now can't protect itself from copycats. A federal appeals court on Monday ruled that Apple (AAPL) could not seek damages from Samsung for copying the basic design of the iPhone, overturning a lower court's ruling. Apple had argued that Samsung's smartphones violated the company's design patents, because they looked so remarkably similar: a rectangular body, rounded edges, and even the placement of apps and dots on the screen. Yet the U.S. Court of Appeals for the Federal Circuit ruled that the overall "look" of the iPhone is so integral to the way other touchscreen smartphones work that Apple can't prevent Samsung (and probably other companies) from using the same general designs. Patent law states that designs can be only be protected if they serve a non-functional purpose. Think about the placement of logos. 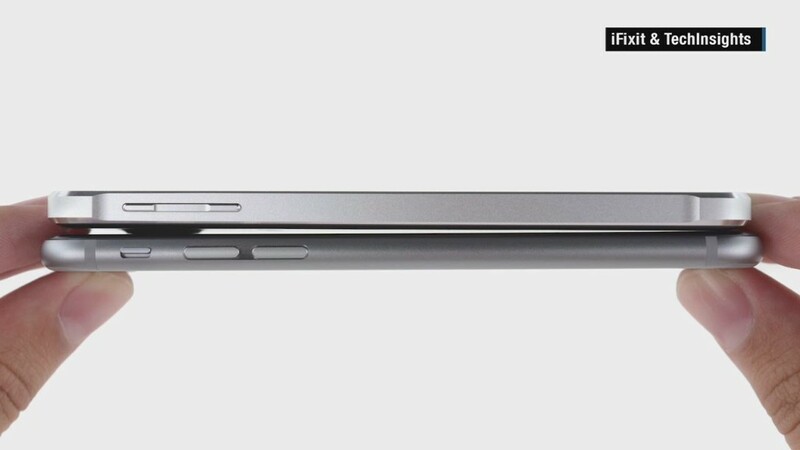 The court said the shape of the iPhone, on the other hand, is functional. Specifically, the appeals court found the iPhone's rectangular body, with its rounded edges, improves how easy it is for people to slip the phone in and out of pockets. The shape also improves the durability of the device. The iPhone's flat, clear surface enables finger-touch operation, the steel bezel protects the glass from impact, and even the "row of dots" on the iPhone's user interface serves a function because it tell users how many pages of an application is available. The court noted that during oral arguments for the appeal, one Apple executive had conceded that the overall look of "improved the quality [of the iPhone] in some respects." The appeals court only partially reversed the district court's decision, though. It upheld the lower court's ruling that Samsung infringed on several other Apple patents. A federal jury had awarded Apple $980 million in damages, including $382 million for the so-called trade dress of the iPhone -- the part of the prior ruling that was overturned. A jury will now need to determine how much, if any, of that penalty Samsung will have to pay Apple. "This case has always been about more than money," said Josh Rosenstock, spokesman for Apple. "It's about innovation and the hard work that goes into inventing products that people love, which is hard to put a price on." A spokesman for Samsung did not respond to a request for comment. The Apple-Samsung legal entanglement began in 2011. The two companies have since gone after each other in the legal system numerous times over the past few years, both in the United States and abroad. Many of the disputes involved the design of smartphones, a lucrative sector dominated by the two companies. In the past, Samsung has alleged that "all generations" of the iPhone and iPad infringe on its own patents. The two tech companies in 2014 agreed to end all of their legal disputes outside the United States.